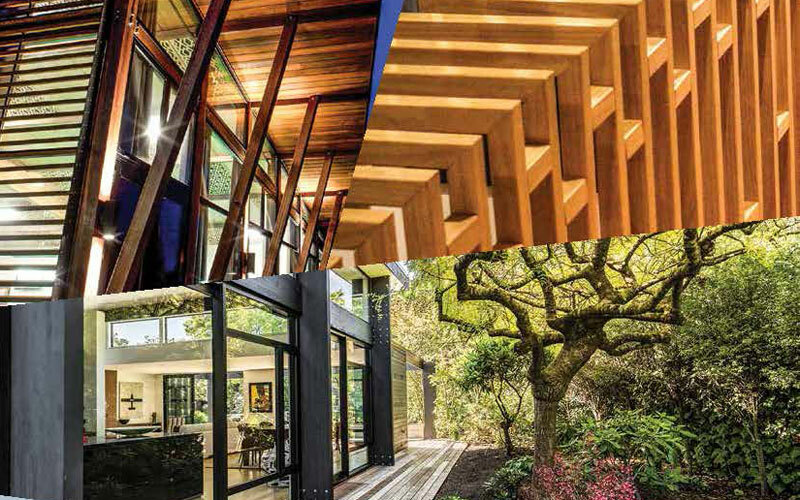 “This is New Zealand’s only timber design award event and allows engineers, architects, architectural designers and builders to showcase innovation using timber,” says Debbie Fergie, NZ Wood’s Promotion Manager. Stage Two of the judging process will take place on August 7, when category winners and the supreme winner will be decided. All winners will be announced at a gala awards dinner at the Grand Millenium Hotel in Auckland on September 20, 2018. This year’s judging panel comprises professionals from a variety of engineering and architectural backgrounds; all eminently qualified to assess the projects against entry criteria. Pamela Bell, M.Arch. Founder and Chief Executive, Prefab NZ: Pamela brings experience in architecture, Olympic-level sport, small business development, governance and management. She is a member of the Ministry of Business, Innovation and Employment’s (MBIE’s) Building Advisory Panel that provides industry input to executives and ministers and sits on the BRANZ Board that oversees the Building Levy for research towards better buildings. In 2012, she co-authored the book ‘Kiwi Prefab: Cottage to Cutting Edge’ with Mark Southcombe (Victoria University) and in 2015 launched the PrefabNZ UNIpod design competition for an open-source universally accessible bathroom pod designed specifically for multi-unit residential applications. In 2016, Pamela co-authored a commemorative book on HIVE, New Zealand’s first Home Innovation Village facilitated by PrefabNZ in response to Canterbury’s 2010-2012 earthquakes. Tim Melville, B.Arch FNZIA. President-Elect, New Zealand Institute of Architects: Tim began his career at a small Auckland practice before gaining work experience in London. When he returned, Tim was a Senior Architect with Jasmax before founding RTA Studio with Richard Naish. He has been a Principal at Warren and Mahoney since 2012. A specialist in design development, Tim has in-depth knowledge of documentation methodologies and technical systems, plus extensive site and contract management experience. He is a strong communicator and an accomplished team leader who believes that effective collaboration delivers better design outcomes. He has been an assessor for the New Zealand Registered Architects Board for over ten years, and has served two terms as Auckland Councillor on the NZIA’s National Council. David Carradine Ph.D, Structural Engineer. President-Elect, New Zealand Timber Design Society: David has worked as an experimental researcher in the field of timber structures for over 15 years, testing everything from single nail connections to full-scale building tests for the New Zealand Ministry of Education. He came to New Zealand in 2008 to work as a Timber Research Engineer with the Structural Timber Innovation Company (STIC) in Christchurch, where he worked with the University of Canterbury team to develop post-tensioned timber buildings for multi-story applications. David has worked at BRANZ for the last five and a half years as a structural engineer, doing research and conducting tests on a wide range of building products and systems used with timber. Andrea Stocchero, M.Sc in Architecture from the Università IUAV di Venezia (Italy). Sustainable Architect, Scion, New Zealand: Andrea is part of Scion’s Built Environment team where he is researching wood design and construction technologies, the environmental benefits of using timber in future urban developments, and the social and cultural implications of using wood in the design and construction sector. Among other tasks he is advocating nationally and internationally for the use of timber building technologies and engineered wood products in relation to environmental sustainability, building multi-performance, human health and well-being. Andrea is a Member of the Board of the Passive House Institute New Zealand, an incorporated charitable trust aiming to improve public health and well-being through the promotion of healthy and highly energy efficient homes and public buildings. Finalists selected in the nine categories are listed below. NB: Finalists in the tenth category, the ‘Innovation of Student Design Award’ sponsored by Juken NZ Ltd, will be chosen by Universities from students’ submitted work presented in their courses. These have different deadlines and finalists cannot be announced until nearer the time of the gala dinner. For the innovative use of timber resulting in a distinctive visual impact on a residential building, either stand-alone or multi-unit/multi-storey project. For the innovative use of timber resulting in a distinctive visual impact on a commercial, industrial, or public building environment. For the innovative use of engineered timber, resulting in a distinctive technical/structural impact on a residential, commercial, industrial or public building environment. For the innovative use of Engineered Wood Products (EWP), resulting in a distinctive impact of the EWP properties and/or aesthetics on a residential, commercial, industrial or public building environment. At least three floors where the predominant structural material is wood or a wood-based product. These floors may be built upon one or more floors of new or pre-existing buildings constructed from other materials. For innovative use of wood or a wood panel product as a signature feature, in a predominantly wood building, adding ambience, flair and practicality. For any wood or wood panel product that forms the exterior of a structure, be it residential or non-residential, which highlights the versatility and flexibility of wood while enhancing the building’s aesthetic. The use of specialty timber in a manner that best highlights its unique characteristics. This category is open to entries from across the spectrum of NZ grown timber usage from furniture to buildings, facilities to objets d’art. Original and innovative uses of wood fibre (solid wood, manufactured products) in unusual or unexpected applications which make great use of the fibre properties, eg. tiny house design gems, chemical or process innovations. The best three designs selected from each University will be chosen from submitted work presented in their courses. The two finalist students will receive an all-expenses-paid trip to make short presentations at the Gala Dinner Awards in Auckland. NB: Entries in this category are concept designs not actuals, and no details are yet available for publication.